As in real life, you can never have too much duct tape in The Escapists game. 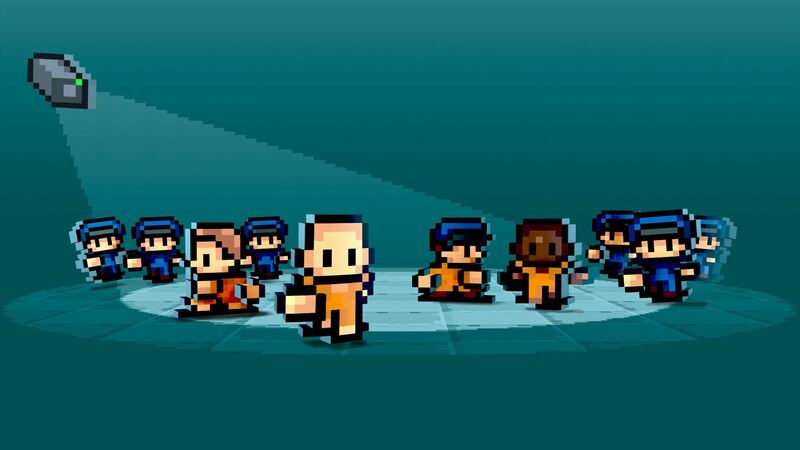 The Escapists is a single player “indie” simulation game to escape various prisons and compounds. The game is available on Steam and for Xbox. My personal experience with the game is on the Xbox version, with a few differences between the two platforms. Out of the gate, I have have to applaud Mouldy Toof Studios (the makers of the game) for how truly complex and diverse the game is. Over time, the Escapists has had update after update, (not to mention exclusive DLC contend) truly just added to the experience of the game as a whole. If you like strategic and adventure based games, then you might want to try The Escapists. What is the general atmosphere of The Escapists game? The Escapists might not look that complicated at first glance, but is a very pleasing and overall good experience to play. The Escapists has a two dimensional pixelated look, which gives a cool retro vibe, which can’t be seen in any shorter games that have come out recently. Not to mention, the music in the Escapists is solid, and another seller for the game by itself. The second I heard the music while playing the first prison, which is called “Center Perks“, I knew it was going to be a good experience. The Escapists might not look that complicated at first glance, but is a very pleasing and overall good experience to play. Like all games, The Escapists has some downsides that I would like to address. For example, I would like to understand the logic on how you can flush three brooms down the toilet, and nothing happens to the toilet. Also, I did experience a glitch when I finished my job for the day and left; the prison automatically went into lockdown and I was shot instantly, losing my progress in the game. Other minor things came about during my play through of the game, such as the way you have to work out in some of the prisons made absolutely no sense whatsoever. I know some of these things might sound bad, but they don’t affect the overall quality of the game, for the most part. What is the difference between the Xbox version and PC version? There were metal detectors in some prisons on Xbox and there were not on PC. You can’t disarm cameras with toothpaste like on the PC edition. These are some of the things about the Xbox edition of the Escapists that I would like to be fixed, if it is possible, to provide for a more consistent experience across platforms. What is the overall replay ability of the game? Is it worth paying $17.99 USD to play the game? I think that The Escapists is well worth the cost to play it overall, if you like to play indie strategy type games. I truly think you can play this game forever, because there are so many ways to escape each prison you come across, and there are six of them, not to mention the ones added on by DLC. The possibilities are endless when playing The Escapists, from doing your prison jobs, to beating up guards and drilling into the vents, anything is possible. So you can let your mind run wild of all the strategy that takes in this game. What are your final thoughts about The Escapists? Looking back, I think that The Escapists is a great game, despite some issues that it can have time to time. I think I would buy this game again if possible, because it is great. I just wish I was better at the game, because it can be really hard sometimes. If any of you are interested in buying this game, check it out on Steam, and watch for sales from time to time. Thank you guys for reading my article, until next time!